Sweep and power wash everything, including driveway, sidewalks, curb, siding and brick. 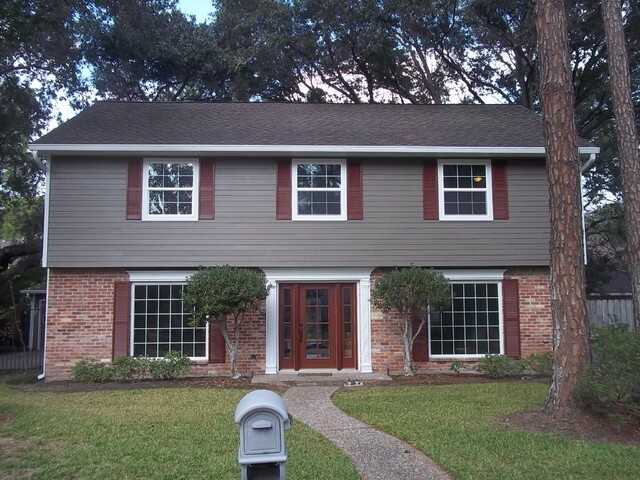 Repaint house and shutters, if needed. Paint or stain the front door. 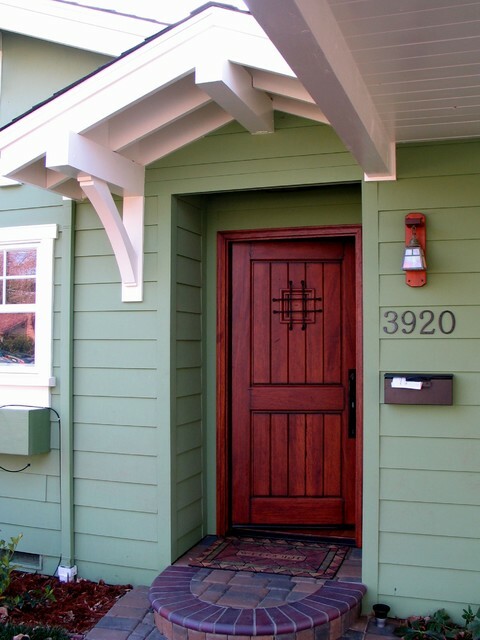 A fun color on the door can create lasting interest. Remove dead plants and trim overgrown shrubbery. It’s actually better to have no shrubs at all, rather than overgrown or dead ones. Remove basketball goal, if you have one. Pull weeds, including those in the cracks of the driveway and sidewalk. Add a new door mat. Update the house numbers (or at least add a coat of spray paint to the old ones). 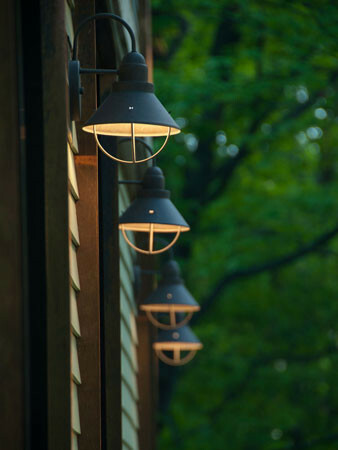 Update light fixtures, matching the style of the house. 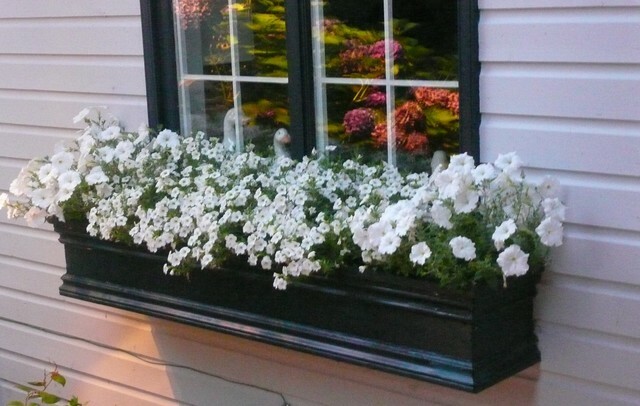 Add flowers in window boxes, pots (on porch) or flower beds. Choose white flowers for the best buyer appeal. Add fresh mulch to beds. 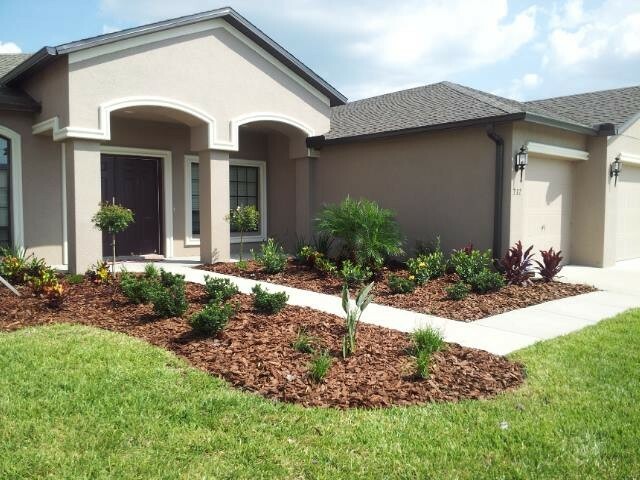 Choose cedar or classic black mulch. Replace sod in dead spots, if needed. BONUS: Offer to mow and clean up the yard of any neighbors who could use the assistance. Speaking from personal experience, my husband mowed a neighboring yard right before our own Open House. The home a few doors down was up for rent, and the owner lived out of state. Buyers pay close attention to their potential neighbors when shopping for a new home. A little extra effort on your part will certainly pay off here. Check out Put Your Money Where Your Paint Is to learn staging tips to WOW buyers on the inside! If you need assistance with home staging or interior redesign, Sitting Pretty Redesign would love to help! Contact us today! 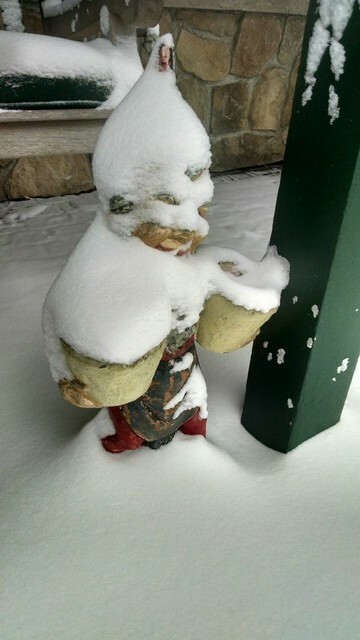 I really love your ideas for improving the exterior. I know a lot of people just focus on the interior and don’t give much thought to the outside of their house. 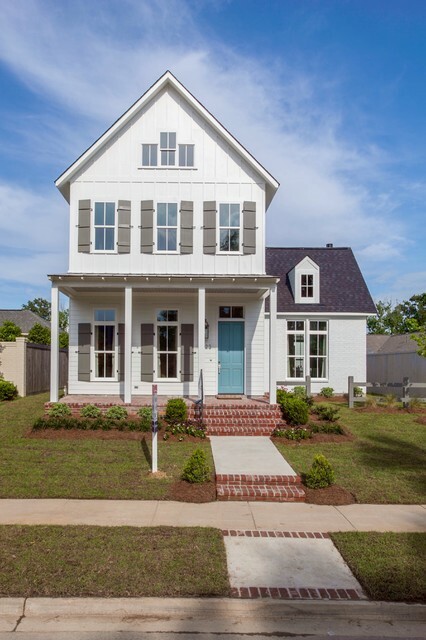 First impressions sometimes can have a lot of influence on a buyer and that starts with curb appeal.